I will do manually PDF submission in 20 high PR doc sharing sites.Manually Submit your document to 25Plus Unique High Domain Authority & trusted Document sharing sites. 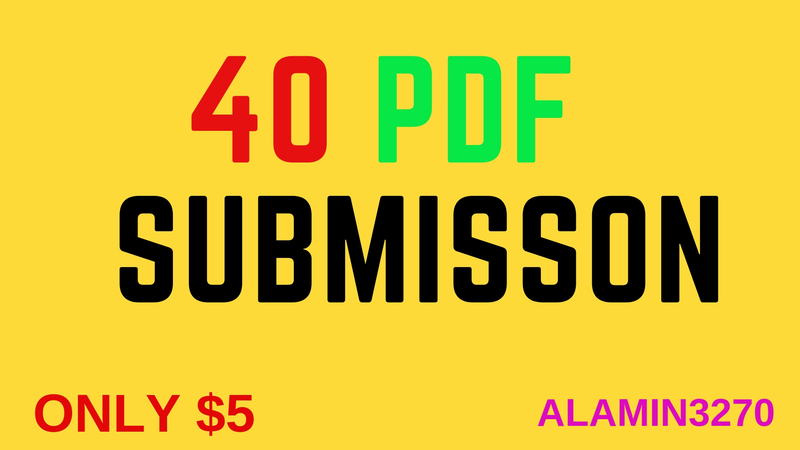 I will convert your Article or document into PPT or PDF and then Manually submit to top 20 PDF submission. Benefits of uploading a document to share:Uploading a document to share can generate you a lot of leads and traffic to your website. Your document will stick and not get deleted. Increase SEO Rank.So,Sir You can hire me daily, Weekly, Monthly and Yearly. manually upload 40 PDF documents to the top 40 document sharing sites is ranked 5 out of 5. Based on 2 user reviews.